The identity of the next Chief Minister may emerge from this morning's (Oct 4th) first session of Tynwald after the election. If the process does give one of the three candidates - Kate Beecroft, Alfred Cannan and Howard Quayle - a winning majority, and if the Court then votes to pass that name to the Governor for approval, then the process of forming the next administration can get underway. The major change from previous secret votes is that we will know who every MHK wants in the job. MHKs will present write a name on a ballot paper, which is put into the ballot box. The electronic voting system is not used. The papers are examined , a list made, and then who voted for whom is read out to the court. A similar process is then used for Legislative Council. Officially everyone has to vote for someone but it's possible for a paper to be filled in incorrectly, in effect, making it a spoiled paper. If one name get 17 votes or more in that Keys vote, over half those who could be present in Tynwald, then in effect Keys have made the selection before LegCo get to vote. 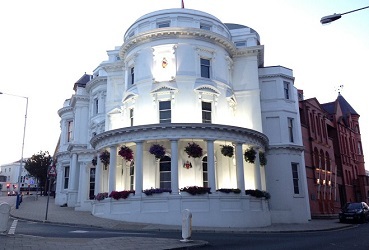 After all Tynwald members have voted and if there is one name with 17 or more votes, Tynwald votes again, for that name to be put to the Governor. That's the simplest scenario. If no one of the three achieves that winning total initially, it's possible that the tail-ender could drop out, leaving a head to head contest for the two remaining candidates. If THAT next round proves inconclusive, its likely the process will stop there and fresh nominations will be called for. A new vote would have to happen in 10 to 14 days.